If you follow me on Instagram (which I love you so much for) then you most likely saw me the day I made these cinnamon scented ornaments with my kids. The entire house smelled like cinnamon and it was the perfect way to kick off our holiday season! Making old fashioned ornaments is something everybody should do, especially with children around. 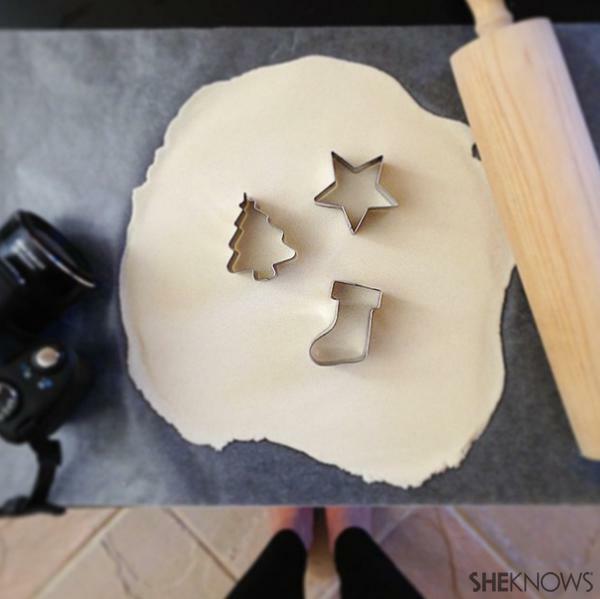 Kids LOVE making ornaments out of dough (it’s similar to playing with play dough). It’s actually really, really, really easy and the ornaments will last for a long time. You can give them as gifts to teachers, friends, co-workers, or family. You only need a few very simple craft supplies. In fact, you might even have everything on hand already. Originally published November 2014. Updated October 2017. Using a stand mixer (with flat beater attachment) combine the flour, salt and warm water. Mix until fully combined. Add in the fragrance oil. Once fully combined, roll the dough out so it is about 1/4 inch thick (put a little flour on the dough roller and the surface to make it easier). Cut out various shapes using holiday cookie cutters. 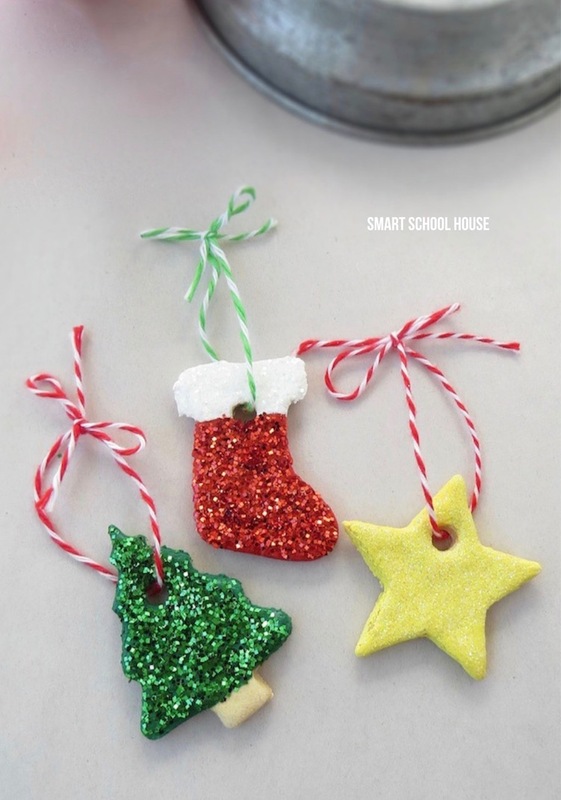 Using a straw, poke a hole at the top of each ornament for hanging. Place the shapes on a cookie baking sheet and bake at 250 degrees F for 2.5 hours (or until they begin to turn golden). When the Mod Podge is dry, tie a piece of bakers twine to the ornament (for hanging). 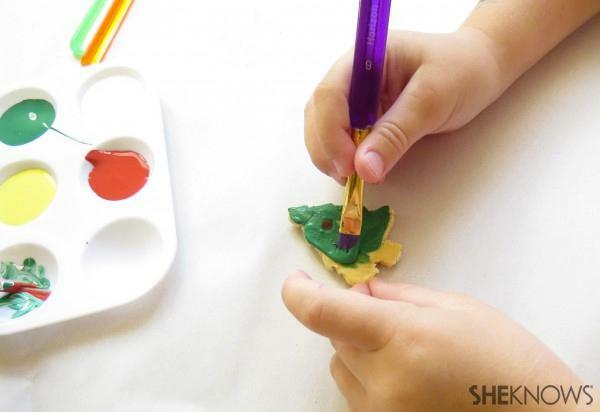 When the paint is dry, brush on a layer of Mod Podge glue and sprinkle on the glitter. Instead of giving them away as gifts, you could even decorate your own tree with your homemade cinnamon scented ornaments! 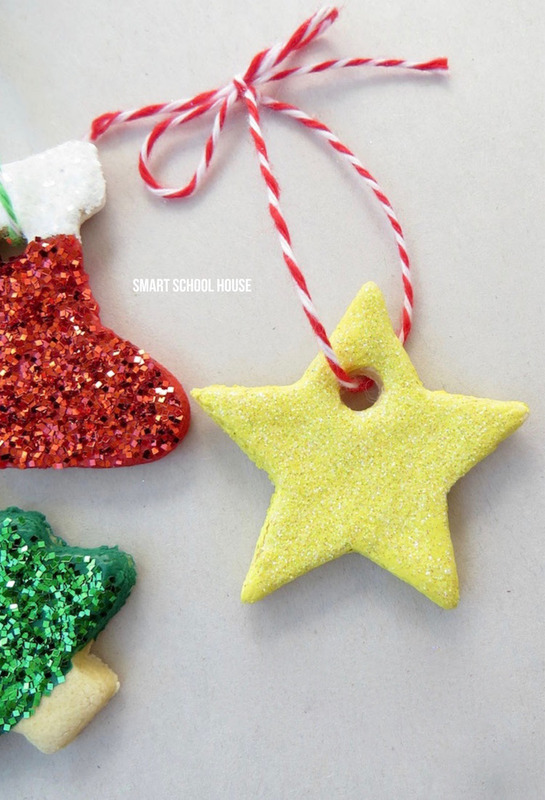 DIY Cinnamon Scented Ornaments are classic, cute, and a wonderful tradition. I love the idea of the single use soap! Fancy soaps always look so sad after a few uses.